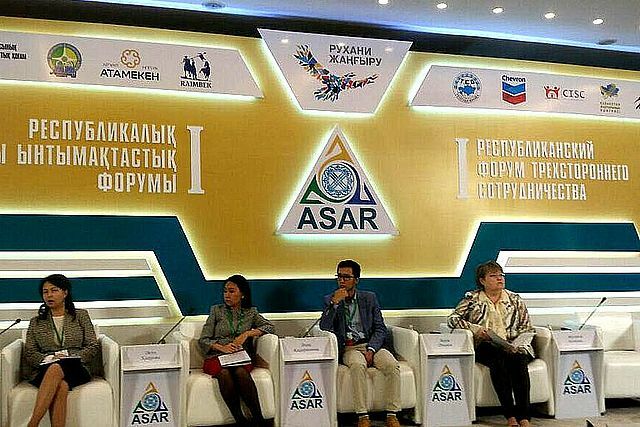 The first Republic trilateral cooperation forum “ASAR” took place in Atyrau. The forum brought together representatives of state institutions, the nonprofit sector and business. It resulted in signing of a Memorandum of Cooperation between NGOs, business and state bodies both at the regional and national levels. As noted by the event organizers, the aim of the forum was to create an effective platform for cooperation. 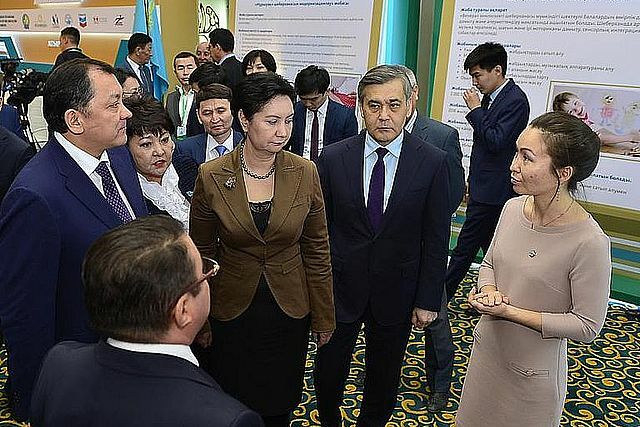 Kazakhstan’s Secretary of State Gulshara Abdykalikova is confident that such a trilateral partnership will have a multiplicative effect: new ideas and technologies will result in an increase in quality of services, new jobs and better quality of life. In Kazakhstan, social partnership in the framework of NGO-Business-the State is already working. Currently, the state constantly works to improve conditions for the development of trilateral cooperation. 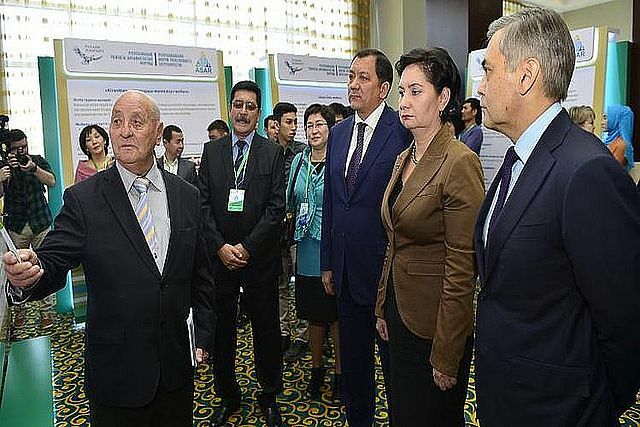 Joint activities will help bring new ideas and technologies that will lead to an increase in the quality of services, creation of new jobs, and increase in quality of life,” underlined Gulshara Abdykalikova, the Republic of Kazakhstan’s Secretary of State. 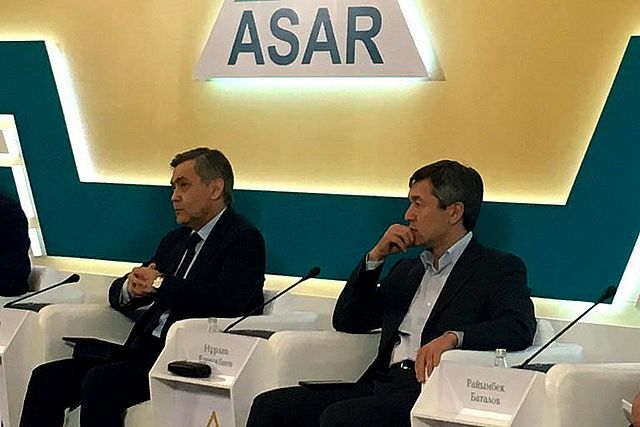 In his turn, Minister of Religious Affairs and Civil Society Nurlan Errmekbaev promptly promised that “ASAR” will be held annually in different regions of the country. 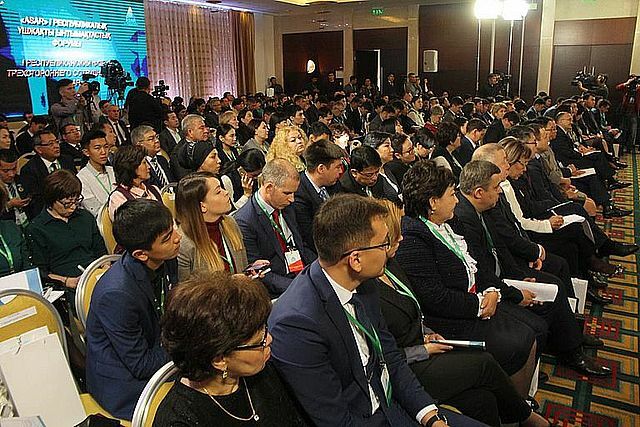 Two hundred NGOs took part in forum, together with state institutions and businesses. Nowadays, NGOs, business and government are equal partners that can offer good social services and high quality social products. ARGO develops the potential of non-for-profit organizations and forms a new generation of social partners with whom we can continue our work. Through this work, we strive to better address and be efficient in providing the social support we want to provide. And we are not alone, there are other organizations. It is important that corporations, large enterprises and entrepreneurs do understand that developing social investments is a trend that is different from other types of social support. It’s different because businesses invest their resources in a targeted manner, i.e. 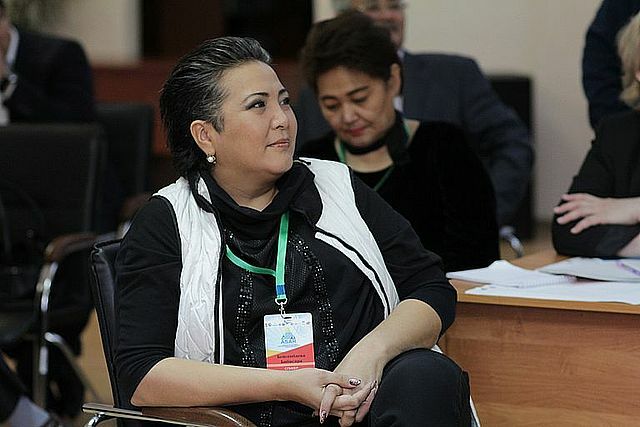 responding to the real necessities of society,” noted Jamilya Asanova, Executive Director of Association for Development of CIvil Society ARGO. Forum participants discussed the issue of consistent relationship building between the State, NGOs and business. On the first day, a Roadmap of Social Initiatives was presented. This roadmap was created under the “Rukhani zhangyru” program and consists of 87 projects. Such a platform is necessary for NGOs, because many business people visit such events and are looking for projects that they could invest into. This forum helped me. My project was supported and we will start workng on it,” said the head of PF “Zhurekten zhurekke,” Aigerim Doskalieva. Executive Director of ARGO Dzhamilya Asanova shared examples of effective trilateral partnership. 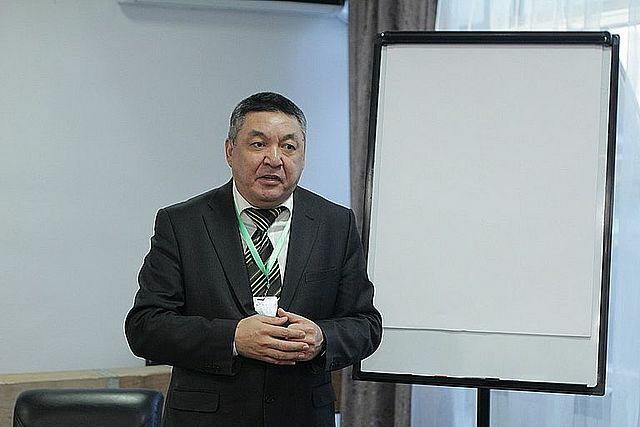 For instance, in Atyrau and Mangystau oblasts, businesses and NGOs identified citizens’ real issues, and local authorities introduced changes to the territory development plans. An important issue when choosing a strategy for social investments is the trilateral partnership (business, society and and state) which is based on the target group’s real needs. For example, when the birthrate in a village increases, this leads to a higher need in creation of additional classes at schools or added groups in kindergarten. However, in terms of territory development, the local municipality has different priorities, such as construction of roads or tree planting in a town. In such cases, when authorities plan for one and society has other needs, partnership of the population by means of NGOs with business becomes very beneficial,” shared Jamilya Asanova. A Social Projects Fair was organized on the first day of the forum. Ten projects presented during the event immediately received support from entrepreneurs. Besides the panel sessions, the participants were able to visit the intellectual conference “Speaker #7”. The first day closed with ten signed memorandums on cooperation between NGOs, business and state bodies both at regional and national levels. 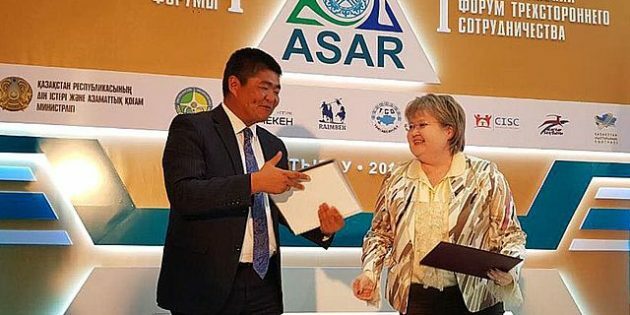 At the first Republic forum of trilateral cooperation “ASAR” in Atyrau, businesses and NGOs agreed to jointly implement social projects. 106 projects will be implemented in Atyrau oblast under the “Rukhani Zhangyru” program. Over one billion tenge will be allocated for implementation of these projects. This money is from local business people. 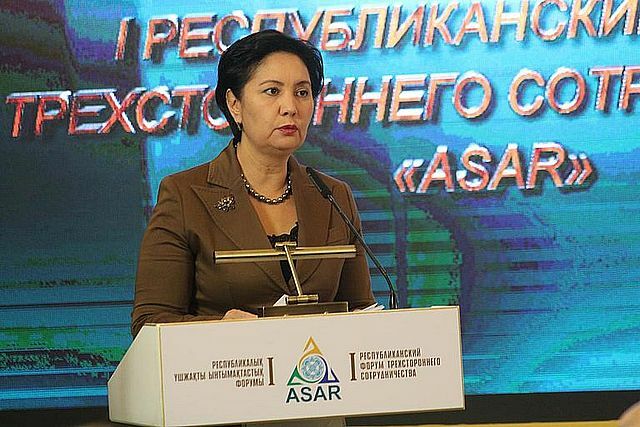 As Secretary of State Gulshara Abdykalikova noted, this year state organizations and NGOs will jointly implement 2,146 projects with a total budget of approximately 14 billion tenge.